From being a fabulous singer and actor, Lea Michele is one of the most ravishing looking actresses of Hollywood. This star is known for her petite and delicate tattoos and possesses 14 small tattoos on her body. 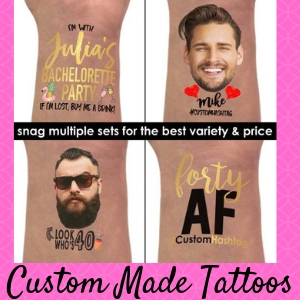 While some of them are simply adorning her personality, many of her tattoos have meaning and soulful reasons behind them. While she loves getting inked, let’s check out few of the amazing tattoos from her vast collection. Lea got a rather sweet tattoo on her ring finger of right hand in the memory of her grandmother. 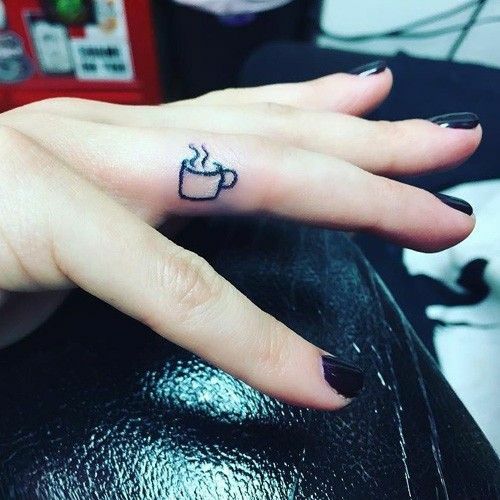 When she lost her grandmother, she soon got this inked and remembered her as someone who was never a typical grandmother and who gave her the first coffee at the age of 8. She has a beautiful and delicate blue butterfly inked on her right foot. The left foot of Lea has a word “Imagine” tattooed. It is towards the outside of her foot and is quite visible. Lea’s left side if rib cage has a tattoo of the cross with words “My Angel Now” inked. It is rumored that she got this tattoo in the memory of her late grandfather. Words “Our City, Our Love” are inked on Lea’s right foot. Known for her brilliant singing skills, Lea got a pair of musical notes inked on her left shoulder. 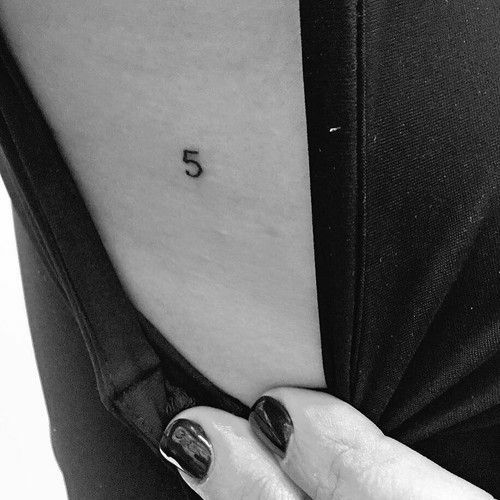 In the memory of her late boyfriend, Cory Monteith, Lea got one of the most touching and poignant tattoos “If you say so” which were apparently the last words he said to her. Above the left front side of Lea’s waist, there is a bird tattoo which represents freedom for the actress. The right-hand side of Lea’s hip has a butterfly tattoo which is believed to be her first tattoo. 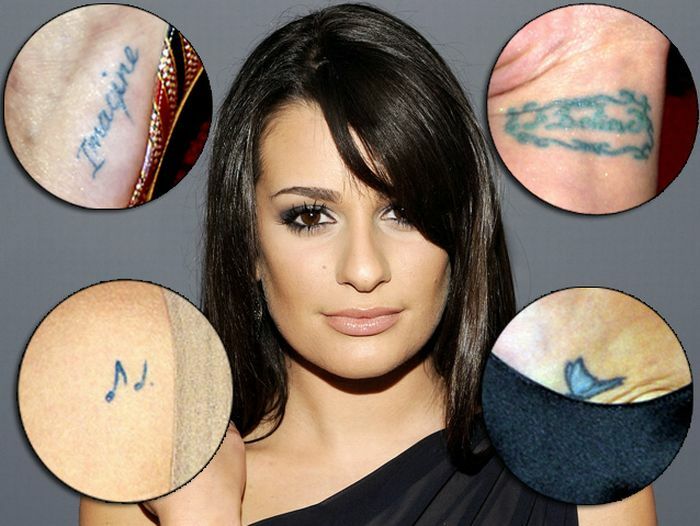 Lea got this tattoo along with her mom in the year 2003. Lea has also got a tattoo of a gold star on her left wrist which is a metaphor for being a star. Lea has supposedly a red heart tattoo on her left index finger. Recently Lea got “Finn” tattooed on her left buttock in remembrance of her late boyfriend, Cory Monteith. “Finn Hudson” was Cory’s character name in the American comedy series, “Glee” in which he was paired with Lea Michele.